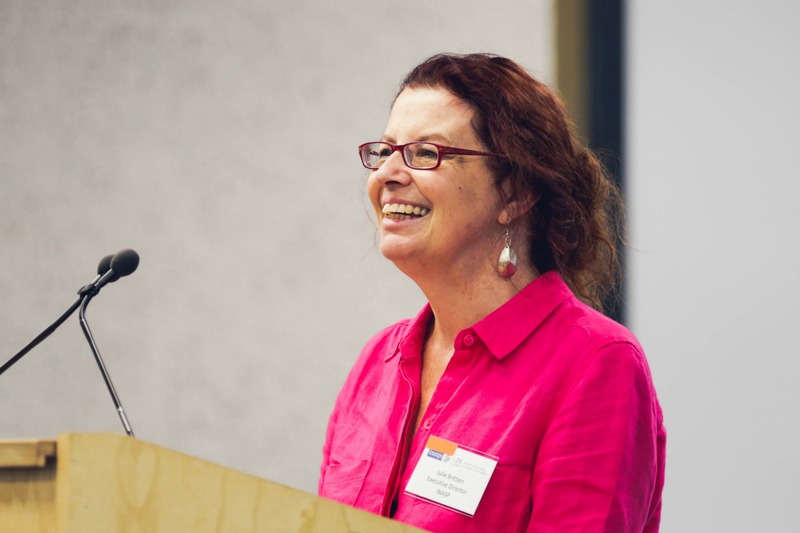 A little over a year ago I wrote about INASP’s new strategy with the mission of supporting individuals and institutions to produce, share and use research and knowledge – which can transform lives. The strategy set out our plans and priorities based on INASP’s core values of respect; integrity; openness and transparency; commitment; participation; and valuing our staff. Earlier this year, our communications team developed a timeline of the 25 years since INASP was founded as an ICSU programme. What is really striking is how much, in line with these values, we have grown and expanded our scope over the years as our understanding of research and knowledge systems has grown. Building on this history and the principles and priorities set out in our strategy, this year we focused our energies on developing and expanding some of our most recent and innovative areas of work – strengthening the voice of women academics to participate more fully in research and higher education; supporting government agencies to become more evidence-informed; and investigating the links between employability and critical thinking skills with four universities in East Africa. Our commitment to gender equity has become increasingly significant both within and outside the organization in the past year. 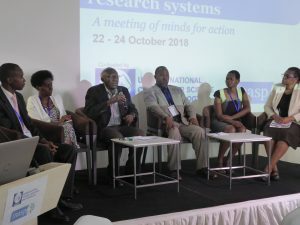 The Gender Mainstreaming Toolkit that was launched a year ago was utilized in two new institutions, the Open University of Tanzania and CSIR in Ghana, ably supported by the University of Dodoma in Tanzania, who co-produced the toolkit with INASP. In addition, our partner SIDRA in Somalia has continued its gender mainstreaming work with our support, including developing a policy brief on Gender in Higher Education in Puntland. 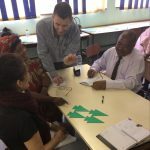 As I write this blog, partners are meeting in Sri Lanka and sharing lessons from different approaches to addressing gender inequality within research systems. This year we have also turned the lens on ourselves by commissioning a gender audit of INASP as an organization, looking in particular at our HR policies and working environment and measuring whether we are employing best practice internally. Though the consultants were very positive about their findings, we feel strongly that we need to continue to challenge ourselves about our working practices to fulfil our commitment to gender equity and mainstreaming, and will be implementing a set of recommendations from the audit in 2018. This year we also started to pilot the Context Matters framework, co-developed with Politics & Ideas, with government agencies in Peru and Ghana. 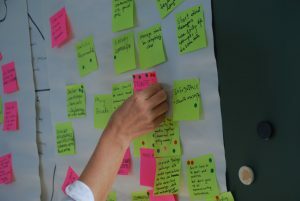 The pilots are helping these agencies diagnose the internal and external systems and behaviours that could help them develop robust evidence-informed policy-making (EIPM) environments within their agencies. We are attracting the attention of both multilateral organizations and funders who are interested in looking at their own processes for EIPM. 2017 also saw us launched Journal Publishing Practices and Standards (JPPS) in partnership with African Journals Online (AJOL). JPPS is an independent assessment framework that provides guidance to the editors of journals about how to improve their publishing processes, in the long run in order to attract higher-quality submissions and international recognition. We are planning to assist these editors further by making our existing journal quality course available online. We were delighted when our online research writing courses run on our AuthorAID platform were finalists this year for the prestigious ALPSP award for Innovation in Publishing. AuthorAID ran its biggest MOOC this year with 3,273 people starting the course and 1,601 completing, a 48.9% completion rate. 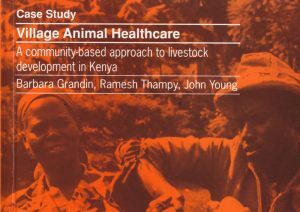 In recent weeks we have also shared the results of a far-reaching impact study of the AuthorAID project. 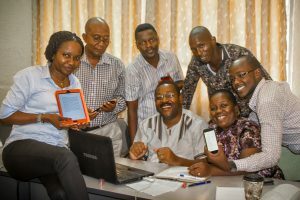 The headline conclusion of the report was that all the major AuthorAID capacity development approaches to support research communication (including online courses and peer-to-peer mentoring) have a significant impact, with 85% of respondents reporting a positive effect on their understanding of the publishing process and 82% on their skills in preparing papers for journals. In a recent staff meeting, the INASP team reflected on the highlights of the past year from their perspective. Listening to staff, it was heartening to hear the examples given of what they were most proud of from 2017. In addition to the projects discussed above and many more, staff comments repeatedly reflected the importance of our values – what staff care about is that we are making a difference, that our commitment to our values both internally and externally makes for a positive working environment, and that relationships with partners value partner needs, partner contexts, and partner well-being. For my part I am proud to be ending 2017 surrounded by a great team of committed, hard-working and caring individuals. With our accountable grant from DFID ending in March 2018, there is some trepidation about our funding going forward – there is no doubt that the way we work is at increasing threat from a context which increasingly devalues values-led organizations such as INASP. However, I continue to believe that we are strongest when we are working together and embracing our values– as a team, and with our partners – and I am optimistic that 2018 will be another successful year. I wish you all a happy and restful Christmas and a great start to 2018. Great. Congratulations Julie for the successful year 2017. Wish you a great success for the coming year as well. Well done and congratulations INASP/Authoraid! Thank you from the bottom of the heart of a very grateful beneficiary of the Authoraid project.